"It is necessary to separate aesthetics from art because aesthetics deals with opinions on perception of the world in general." 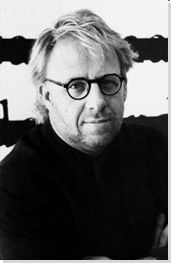 Joseph Kosuth was one of the originators of Conceptual art in the mid-1960s, which became a major movement that thrived into the 1970s and remains influential. He pioneered the use of words in place of visual imagery of any kind and explored the relationship between ideas and the images and words used to convey them. His series of One and Three installations (1965), in which he assembled an object, a photograph of that object, and an enlarged photographic copy of the dictionary definition of it, explored these relationships directly. His enlarged photostats of dictionary definitions in his series Art as Idea as Idea (1966-68) eliminated objects and images completely in order to focus on meaning conveyed purely with language. Since the 1970s, he has made numerous site-specific installations that continue to explore how we experience, comprehend, and respond to language. Kosuth believed that images and any traces of artistic skill and craft should be eliminated from art so that ideas could be conveyed as directly, immediately, and purely as possible. There should be no obstacles to conveying ideas, and so images should be eliminated since he considered them obstacles. This notion became one of the major forces that made Conceptual art a movement in the late-1960s. Kosuth has often explored the relationships between words and their meanings and how words relate to the objects and things they name or describe. He has been fascinated with the equivalences between the visual and the linguistic. To this extent, he was influenced by the philosopher Ludwig Wittgenstein's ideas on language. Many of Kosuth's installations and displays of words have incorporated excerpts from literature, philosophy, psychology, and history that have that have intrigued him. Consequently, he has used the presentation of language to make his audience contemplate issues of poverty, racism, loneliness, isolation, the meaning of life, and personal identity - usually without any clear, overt commentary of his own. In this, Kosuth embodies how the contemporary artist may become a philosopher and moralist. Since he usually relies on the writing of others in his presentations of words and texts, Kosuth's work represents how Conceptual art, like much of postmodernism, involves a lot of appropriation, in his case the sources being written and verbal as opposed to visual or art historical. His chosen texts are usually not particularly descriptive nor do they attempt to create images with words. 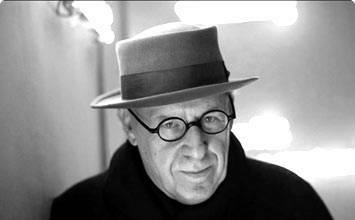 Joseph Kosuth was born in Toledo, Ohio, in 1945. He studied at the Toledo Museum School of Design starting at the very early age of ten and continued there until 1962, during which time he studied with the Belgian painter Line Bloom Draper. He enrolled at the Cleveland Institute of Art in 1963 and studied drawing and painting there for a year. After traveling abroad for a year, he moved to New York City in 1965 and enrolled at the School of Visual Arts, where he studied painting until 1967. By this time, he was already questioning the usefulness of imagery in conveying meanings and ideas and was exploring the uses of language. This work is the first and most famous example of Kosuth's series of One and Three installations, in which he assembled an object, a photograph of that object, and an enlarged dictionary definition of the object. It questions what actually constitutes a chair in our thinking: is it the solid object we see and use or is it the word "chair" that we use to identify it and communicate it to others? Furthermore, it confronts us with how we use words to explain and define visible, tangible, ordinary things, how words represent, describe, or signify things, and how this often becomes more complex when the thing is simple, fundamental, or intangible. Thus, it explores how language plays an integral role in conveying meaning and identity. It makes us more aware of why and how words become the verbal and written equivalents for commonplace tangible, solid things and objects. Five Words in Orange Neon is among the many language-based works Kosuth made using neon lights and a transformer, all of which were inspired by Wittgenstein's explorations of tautologies. In logic and linguistics, as established largely by Wittgenstein, a tautology is a statement of fundamental fact or truth which is unchangeable and irreversible, even if rephrased in any way possible. The meaning of the phrase is equated with how the words are visualized. In this case, they are shown with orange neon tubes shaped to form the words of the phrase. Kosuth plays with linguistic and verbal literalness by giving us a visual equivalent in the neon letters to what the text reads regardless of its form. As with his other Conceptual works of the 1960s, the idea is considered more important and fundamental than the visual or aesthetic content or expression of an artwork. It was a radical reconsideration of the importance of the visual in visual art. After beginning his One and Three series, Kosuth wanted to further remove images and objects from his language-based Conceptual art, and this led to his Art as Idea as Idea series. In these works, he produced enlarged photostats of definitions of words that look like they came from dictionaries, which he then mounted on walls similar to how paintings, drawings, or photographs would be exhibited. He makes the viewer aware of the multiple identities and types of existence that these various things have, as solid objects and tangible things, as mechanical reproductions that are quickly made and mass-produced, and as verbal, written, and intangible equivalents. This challenges us to think of how we would define or explain simple, ordinary things that we see and use in our daily lives. The Rosetta Stone is an ancient artifact that has been on display at the British Museum since 1802 and is considered by historians and anthropologists to be essential to understanding the language of ancient Egypt. Since it presents virtually the same text, a decree issued by Egyptian pharaoh Ptolemy V in 196 BCE, in Ancient Egyptian hieroglyphics, Egyptian demotic script, and Ancient Greek, it is a historical artifact that shows how three different languages express the same message. Thus, it was perfectly suited to Kosuth's interest in the equivalents among languages and between things as well as in the ways language is used to identify, explain, and describe objects. The Rosetta Stone is a historical precedent to Kosuth's work, such as his One and Three series, since the same statement is presented three times in the Egyptian artifact and the same thing is presented as words, an object, and a photographic reproduction in the artist's series. In the late 1980s, Kosuth began fabricating, with the help of many assistants, a giant copy of the face of the Rosetta Stone placed flat on the sidewalk as a public installation in the town of Figeac right near the home of Jean-François Champollion, an Egyptologist who was involved with the original translation. In 1993, Kosuth created Double Reading, a series of about twenty silkscreen prints on laminated glass that were illuminated from behind with neon lights. In each of these works, a cartoon from a newspaper or magazine with dialogue and captions is juxtaposed with a quote from a famous philosopher, theologian, political leader, and so on. Some of these works use cartoons with lots of text and long quotes while others are quite brief. In this work, a cartoon of a man in a large office filled with rectangular furniture, lighting, windows, and doors uses his intercom to ask his secretary to bring him a "round object." This cartoon is accompanied by a short quote from St. Augustine: "Dogmas are fences around the mystery." The viewer is encouraged to contemplate the situation illustrated humorously in the illustration by comparing it to the more serious and rather theoretical text from an earlier and different time in history and culture. The multiple, complex, and variable meanings of the profound quote are made noticeable in ways that are quite gradual and subtle. In this example, St. Augustine's quote could mean that religious dogma provides the means for understanding life and the Divine or it could be suggesting the control and constraint of thinking. If it is the latter, is this ambiguity or contradiction intended by St. Augustine, has it been accidently created by him, or is it a conclusion that Kosuth has reached and is attempting to demonstrate for the viewer? Kosuth's neon works have typically employed only single words or short tautological phrases that could be viewed in their entirety at a glance. Á Propos, however, is a work in the Jewish Museum's 2004 installation of 86 quotations of various lengths from dozens of philosophers. Kosuth uses longer texts for this neon installation and highlights many of his most important intellectual and philosophical influences. The quotations were arranged in horizontal and vertical patterns that have little rhyme or reason with regard to their placement but are designed as a compilation of multiple philosophical perspectives. This text by Claude Levi-Strauss reads "Marx's and Freud's combined lesson: they have taught us that man has meaning only on the condition that he view himself as meaningful." The central goal of the entire installation was to demonstrate how philosophy is very much about dialogues and arguments among philosophers from different eras and places. This is an important example of Kosuth's interest in literature, philosophy, history, and in the exploration of important writings that facilitate our understanding of and connection to the ideas of important historical figures and movements.